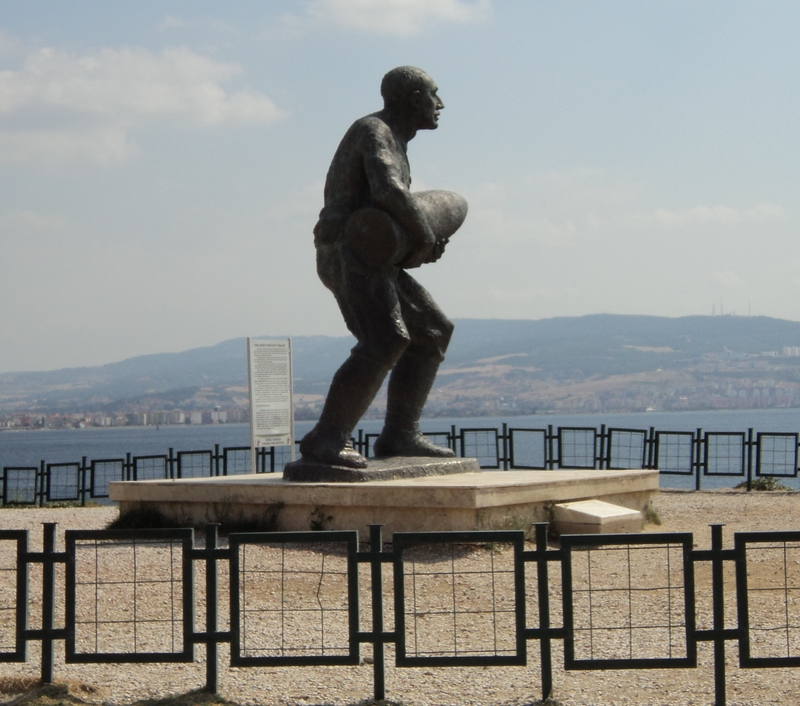 At Kilitbahir Fort there is a large statue of Corporal Seyit. He holds a 258 kg shell which he had to carry to the main battery gun and fire it himself against the British Battleship HMS Ocean. This larger than life hero was a wood cutter used to carrying heavy logs. The statue is a tribute to the Turkish gunners who held their ground when they were needed.